Veteran musician and multi-instrumentalist Michael Regina is a true Renaissance man of song and melody. When it comes to music, the Bronx-born legend is a treasure chest of experience, wisdom, and practical application. Regina has tasted the delicacies of many genres. In the mid-1980s, Michael performed with glam metal band WHITEFOXX, and served as one of the pioneers of the Philadelphia-based Metal scene. In recent times, Michael has put his keyboard and ingenuity to use in the creation of New Age music. His album Ascension speaks for itself. Ascension is a clever production. Consisting of ten tracks, Michael Regina is able to take listeners on an otherworldly journey that is filled with an array of emotions, but primarily enjoyed through moods of self-reflection. Ascension opens with Sun Angel, a beautiful composition that is relaxing and meditative. The bright keyboard line and soft drums makes for a perfect sonic message. Europa follows with a bit more complex structure. Its twirling rhythm puts us in a place where we are flying within our imagination. Message of Iris is a surreal track that flirts with its own transcendental nature. Brilliantly composed, Message of Iris is a drumless tune that is carried by a breeze of strings, which strengthens the continuity of the album. Only At Night comes next. Its hypnotic opening and repetitive keyboard line provide the perfect foundation for our imagination to run free. With a slight filler of strings, Only At Night is an easy favorite. Moon Ascend is a simple, but striking track. Michael Regina is able to paint sounds as visuals that pulls us into a space that is neither dark nor light. This is a perfect composition for reflection. Imminence is great track that considerably is made whole with greater instrumentation. Imminence has a dramatic feel with an engulfing atmospheric sound. Regina lets the keyboard tell its own story, one that is very remarkable. The Crossing is uniquely sinister in a good way. Mostly built from keyboard sounds, The Crossing’s mid-tempo and hazy structure continues in Unification. With the exception of the sporadic drums appearing in the track at unpredictable intervals, Unification is filled with mood and intensity. We finally arrive at the last two tracks, Pulsar is a beautiful song that flirts on the edges of electronic dance music. I love the strings on this track! Pulsar comes with a distinct celebrative sound that will take us where we need to be. New Star, Ascension’s last track, is a journey within a journey. A celestial coming of age, New Star describes the process of life through song, a truly fitting conclusion. 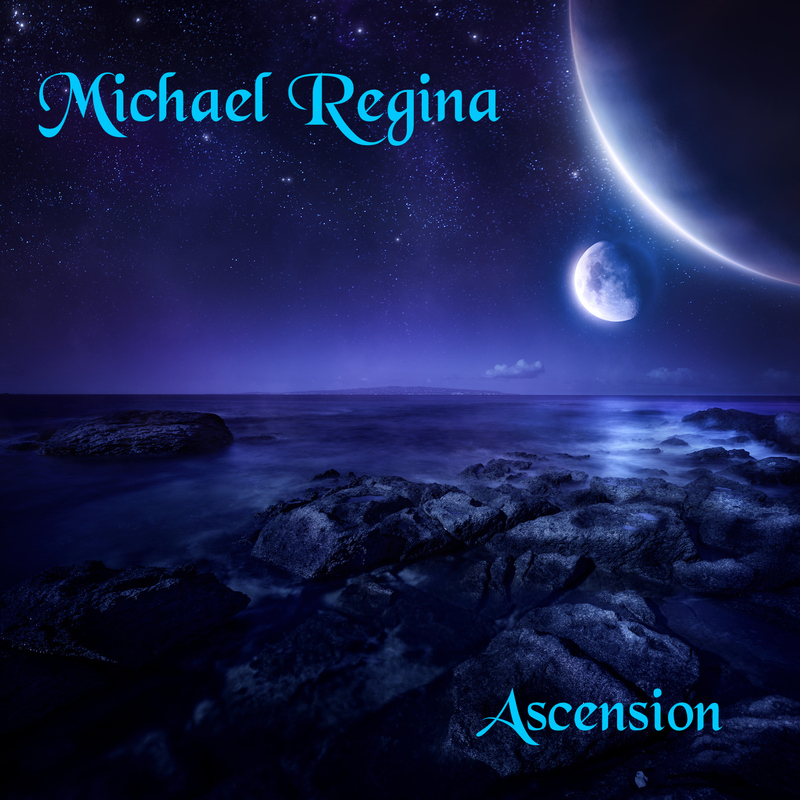 Ascension by Michael Regina is a masterful work and good reminder. Michael Regina reminds us that music came to this world through the mystical practices of the shaman and other organic elements of society. Music is a spiritual practice. Music is Ascension. Thanks for sharing! So far I only listened to ‘Europa’ and ‘ New Star’ but this for already enough to say that it takes one indeed through a surreal journey. Amazing!